I've always been fascinated by ocean animals. 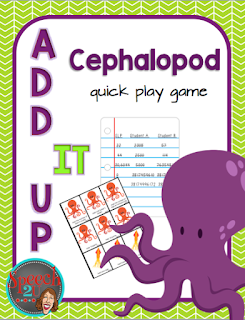 I was listening to Science Friday last week and heard that it was Cephalopod week June 19-26th. I'm a little late for this party-but early for Cephalopod awareness days October 8-12. Head on over to my blog to pick up a freebie! Hope you enjoy your summer break!